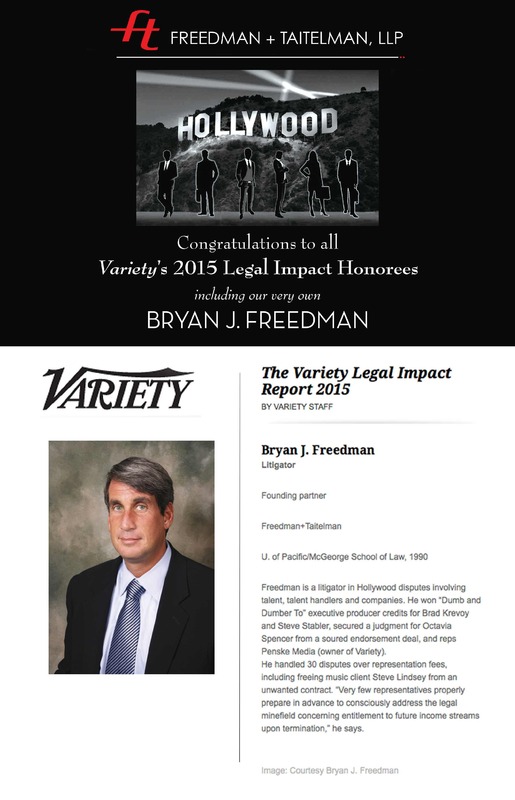 Freedman is a litigator in Hollywood disputes involving talent, talent handlers and companies. He won “Dumb and Dumber To” executive producer credits for Brad Krevoy and Steve Stabler, secured a judgment for Octavia Spencer from a soured endorsement deal, and reps Penske Media (owner of Variety). He handled 30 disputes over representation fees, including freeing music client Steve Lindsey from an unwanted contract. “Very few representatives properly prepare in advance to consciously address the legal minefield concerning entitlement to future income streams upon termination,” he says.